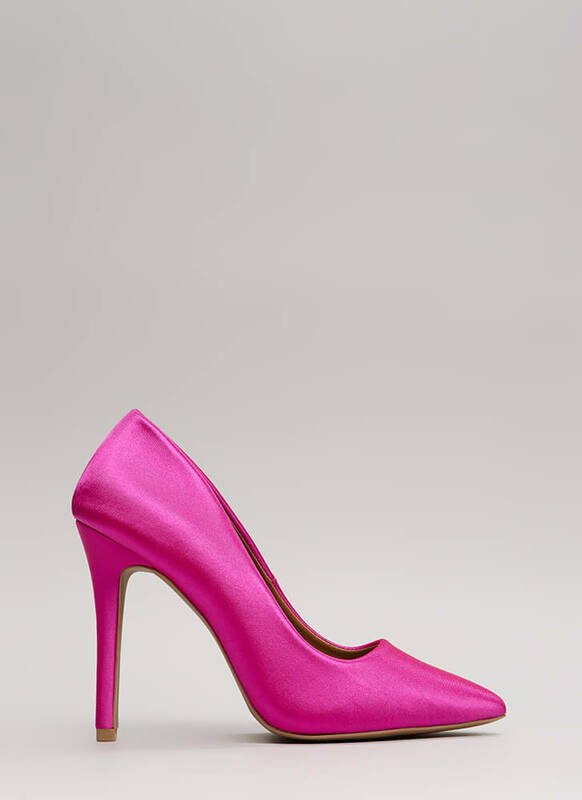 Let's just get to the point, shall we? 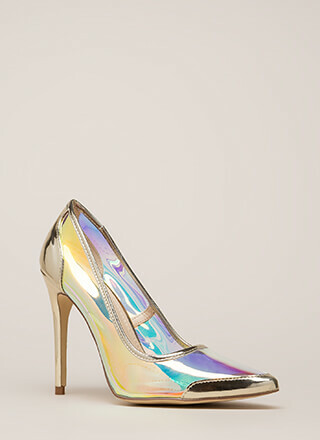 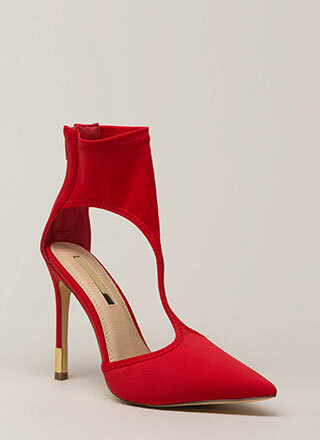 You need these heels, and you know it. 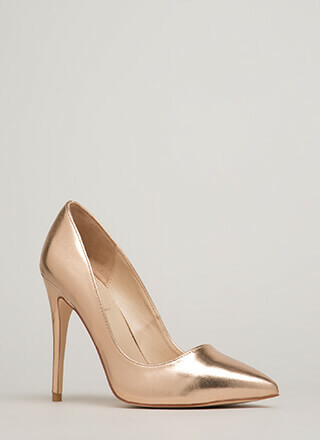 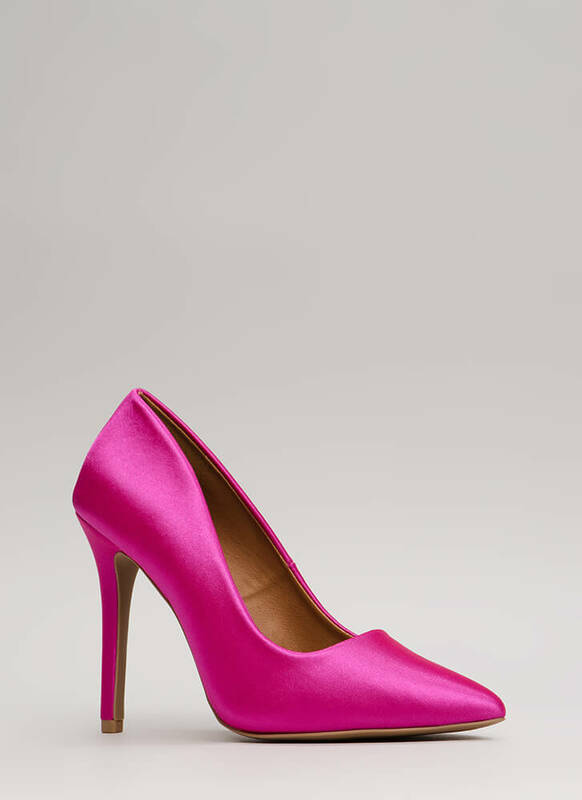 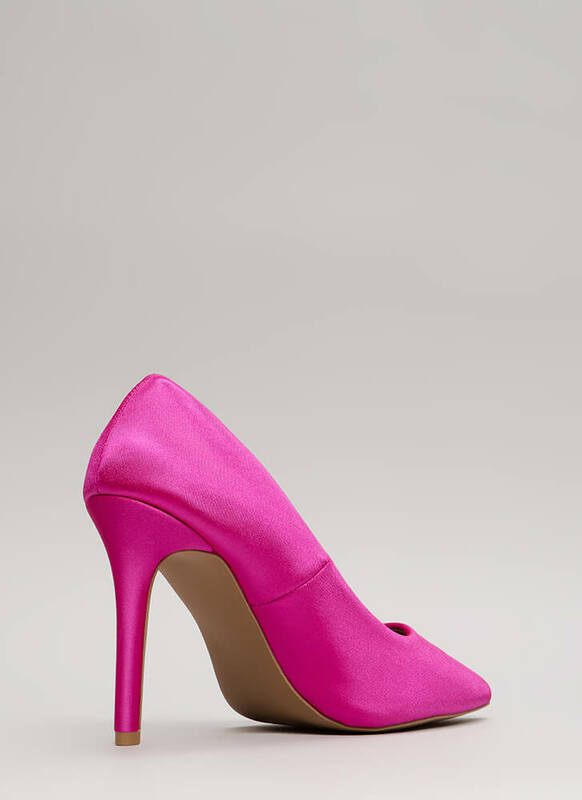 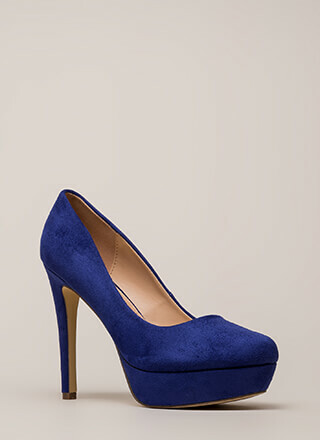 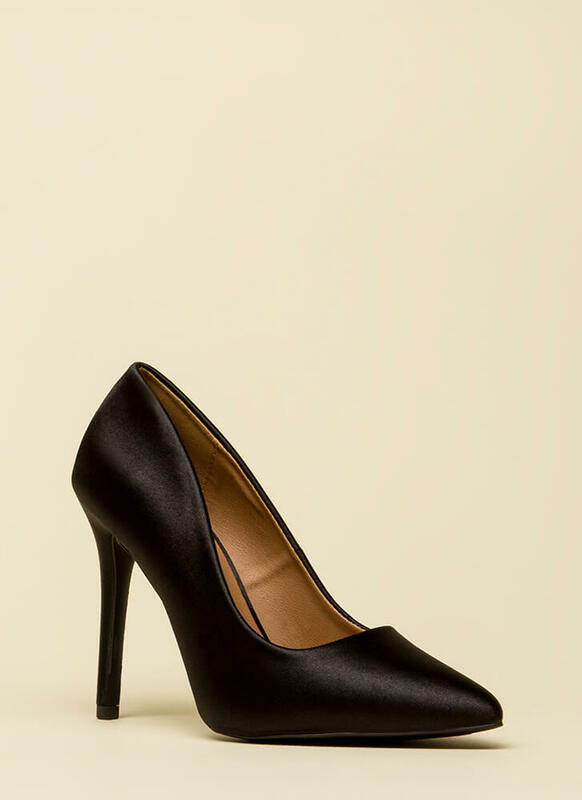 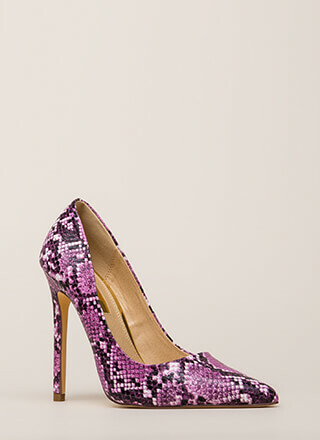 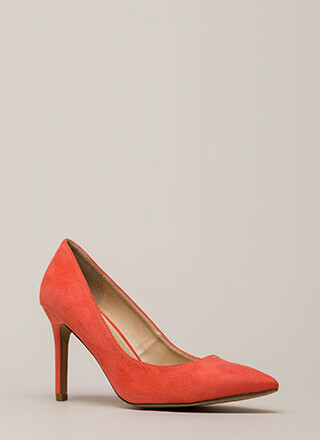 Pointy lycra pumps feature a stiletto heel, a ridged sole, a slight sheen throughout, and no closures.